The University of Southampton is continually breaking the law. When I ran to be Wessex Scene editor, one of my main pledges was to make Wessex Scene more investigative. In a lot of ways we’ve achieved this. We’ve been the first place to break dozens of stories this year, always beating our local rivals, and often our words are picked up by national papers. Unfortunately, there’s been one big problem in our way. The University, the institution we were here to hold to account, have not replied to a single Freedom of Information request sent by Wessex Scene this year. On multiple occasions, we’ve been told they will get back to us. They have not. This is against the law. Blair’s Labour government published the Your Right to Know white paper in 1997, stating its aims to “make public authorities open and based on mutual trust”. This eventually became the Freedom of Information Act which was passed in 2000.  Extracting the information from a document containing it. The limit is £450.00 which equates to 18 hours of staff time. 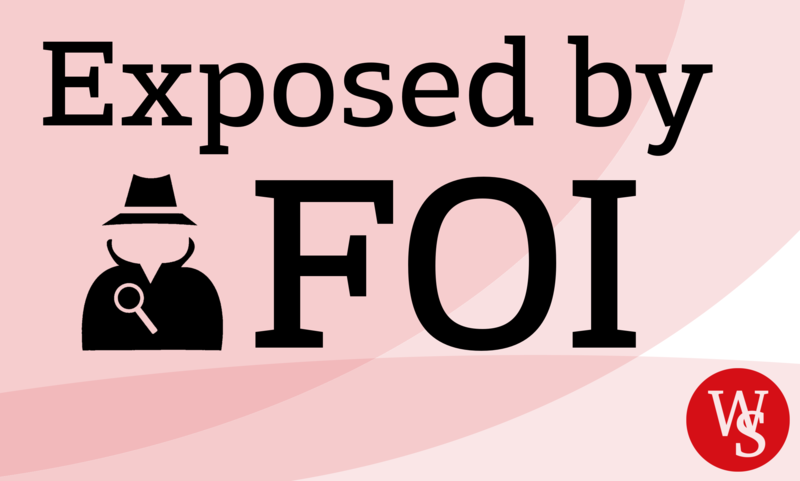 The FOI act has exposed some of the biggest stories in recent history. The MPs expenses scandal was broken after four years of a series of FOI requests and a high court battle. In the wake of the murder of the black teenager Stephen Lawrence, the FOI act was used to expose a myriad of cases of declaring the Metropolitan piece as institutionally racist, including the reveal of over 120 police officers at the Met being found guilty of racism within a decade. Another FOI found that every week 8,000 NHS patients were discharged in the middle of the night. That means 239,233 patients were discharge from state-run hospitals between 11pm and 6am. An FOI investigation led by the Daily Telegraph found that local councils had spent £100m on credit cards in 2011, these funded luxury dinner and hotels, including £2m on accommodation, including five-stars hotels in New York and South East Asia. They also found money was spent on luxury items from Tiffany’s and theme park outings. This year alone, Wessex Scene has revealed the number of rapes in Southampton, the cost of Christmas lighting, and more through FOI requests. 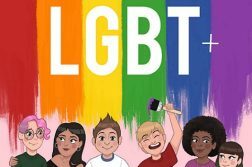 As a result of this blatant law breaking from the institution we all pay thousands to, Wessex Scene is now taking the University to the Information Commissioner, which could result in legal action. They were told by the Information Commissioner they needed to reply by 10th June, at the time of publication they still have not replied. We’re not the only ones the University has ignored. Earlier this year, Southampton was one of five Universities that failed to respond to the Cruelty Free International request on animal testing. A quick look through whatdotheyknow.com shows that the University has failed to reply to dozens of FOI request since 2013. In January, the Russell Group – including the University of Southampton – asked to become exempt from FOI requests. Universities UK, of which Vice-Chancellor Christopher Snowden was President, also supported the notion. They claimed it costs them over £10 million a year to respond to FOIs, suggesting there are over 20,000 requests made to Universities each year. 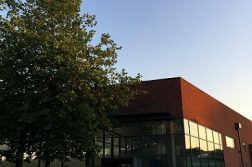 After Wessex Scene broke the story about Universities desire to be exempt, there were a number of responses imploring the University. 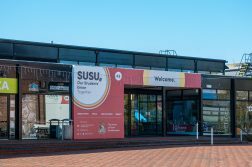 The Union passed a proposal to publicly condemn their actions of the University and the Russell Group, as well as lobbying the University to speak out against the proposal, and uphold its duty to respond to the requests. Here’s a selection of the questions the University has refused to answer this year:. How many students have seen University services (for example, counselling) for mental health issues in 2013/2014/2015? How many students have received “extenuating circumstances” for mental health reasons in 2013, 2014, and 2015? In the 2014/15 academic year and 2015/16 academic year how many injuries were reported using sports and wellbeing facilities? What is the average pay for academic staff at the University of Southampton? What is the average pay for female academic staff at the University of Southampton? What is the average pay for male academic staff at the University of Southampton? What is the average cost of delivering a degree at the University of Southampton? Of all degrees offered at the University of Southampton, which costs the most to deliver, and how much does it cost? Of all degrees offered at the University of Southampton, which costs the least to deliver, and how much does it cost? We’ve reached out to a University spokesperson for comment but, unsurprisingly, they’ve refused to answer. University of Southampton places 73rd in the QS World University Rankings.